Another day and another Christmas in July card! For today’s card, I worked with a lovely stamp from Magenta Art Stamps which I got five years ago! It’s another large image and I have struggled to use it in many cards… but I love colouring it in! I heat embossed the image and then used two shades of red from my Twinkling H2O collection to colour the flowers but you can’t really see the two shades in my pictures unfortunately. To finish off my card, I added a sentiment from Penny Black. I’m entering this into the CAS Christmas challenge – poinsettia. I love my old wood-mounted rubber stamps, I really do! Yes, they take up a lot of storage space and you can’t ‘restamp’ an image like you can with a cling or clear stamp, but I still love them and could never part with them! I have a storage system that works well for me, it’s just that with all the new crafty stuff being released each month, they don’t get as much ‘airtime’ as they should! And this Christmas has been no exception unfortunately. I’m going to make a conscious effort in 2018 to use at least one of my old wood-mounted stamps a week! Anyway, on to today’s card! This week’s Less is More challenge is ‘birds/feathers’, so I pulled out this older Magenta image which I coloured with my Prismacolor pencils. The purples look more vibrant in the photo than they are in real life. I think I need to revisit my light setting! Anyway, I cut some of my older patterned paper with a banner die and then stuck the image panel on top. To finish the card off, I added a Penny Black sentiment and some Nuvo glitter drops. There’s an absolutely beautiful colour combo over at the Color Throwdown challenge this week – pink, green, kraft and white. 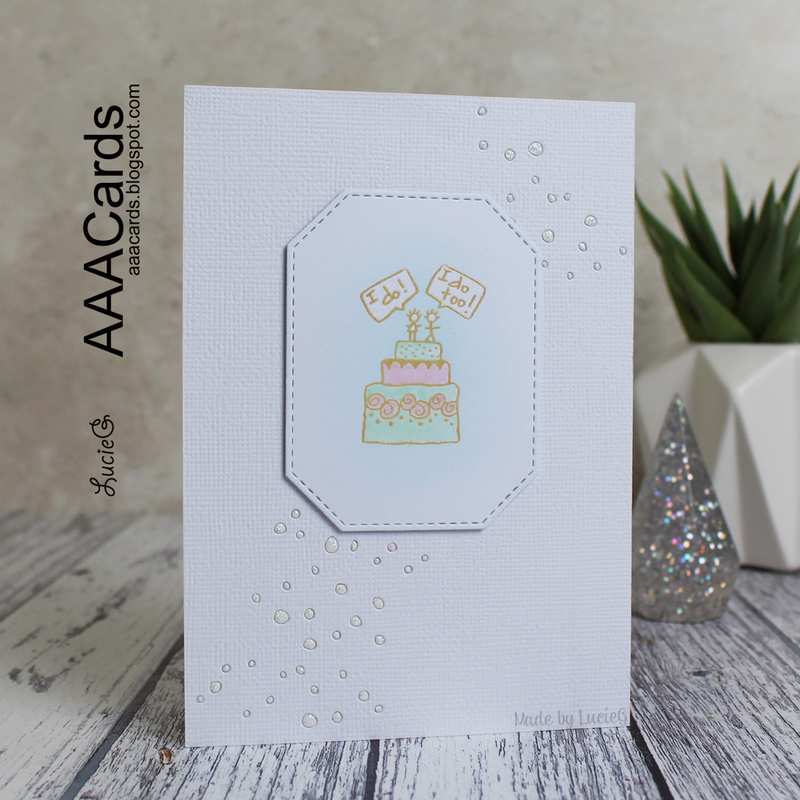 So many possibilities but alas my mojo seemed to have completely disappeared when I sat down to make a card…. luckily a trawl through my older, much-neglected wood-mounted stamps helped considerably! 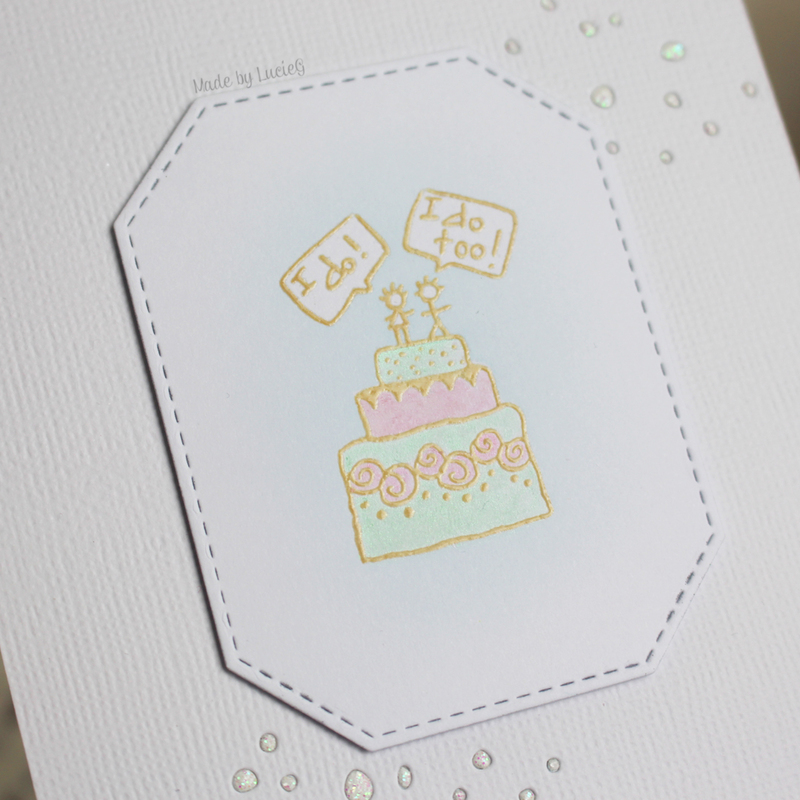 I embossed beautiful older Magenta stamp with gold embossing powder and coloured it using my Twinkling H20’s. This card shimmers sooo much in real life! Always so hard to capture in a photo. I cut a square out of a larger square of white card to create a thick frame and stamped a Clearly Besotted greeting in kraft coloured ink before mounting it on top of the image with foam.